There’s never been a better time to turn the dream into metal. The purchase price you pay on an eligible new or used H-D Sportster® motorcycle is what you get back on trade* within one year of purchase for an eligible new H-D® motorcycle. 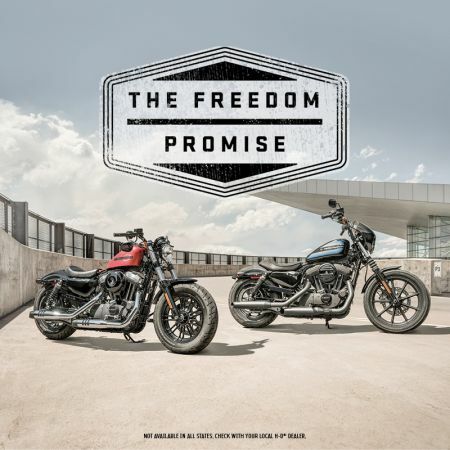 Visit h-d.com/freedompromise for details.